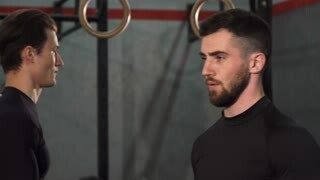 A man in an old gym with soft light, prepares training and effort to lift weights. Concept: ambition, dreams, passion, sports, lifting weights. Close up shot of a bearded handsome sportsman concentrating exercising with dumbbells at the gym. Two sportsmen lifting weights training together at crossfit box. Effort, power, masculinity. 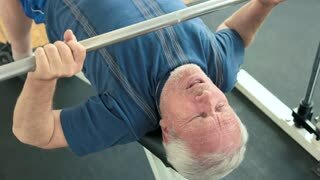 Mature man doing chest press exercise. 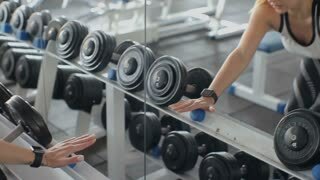 Aged man doing efforts to lift weight in gym. Hard training for muscles.